Four previous strangers, connected, bonded and took action to meet share, lead with heart, Claude Silver be human, Mark LeBusque, lean into candor, courage and care, Jill Katz and lift others, Mike (MJ) Vacanti. With the passion, curiosity and energy shared back from a great group of innovative professionals. The hashtag#HumansFirstClub was born last night. Thank you all for being the fuel behind this launch. 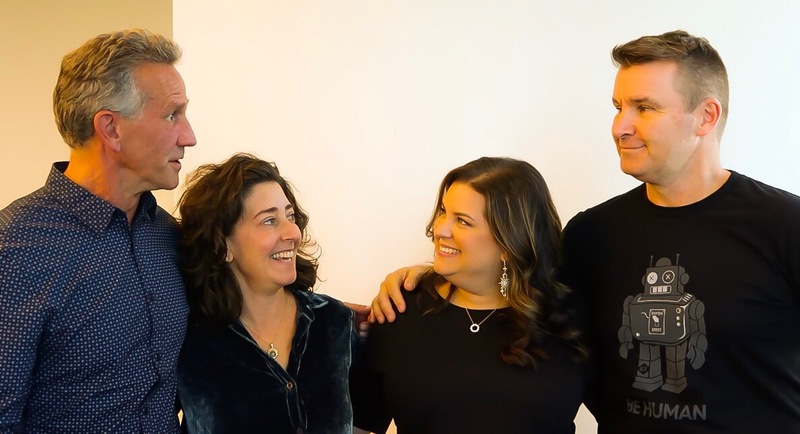 Four previous strangers, connected, bonded and took action to meet share, lead with heart, Claude Silver; be human, Mark LeBusque; lean into candor, courage and care, Jill Katz; and lift others, Mike (MJ) Vacanti. With the passion, curiosity and energy shared back from a great group of innovative professionals. The hashtag#HumansFirstClub was born last night. Thank you all for being the fuel behind this launch.